Every year a clever costume theme, varying run times, and trouble figuring out their averages. At first glance, 2Pretty4Math come across as beautiful, silly girls who are out for a fun jog, but a moment with any of the members will uncover a woman with a sense of humor, brilliant mind, and a warm and fearless heart. 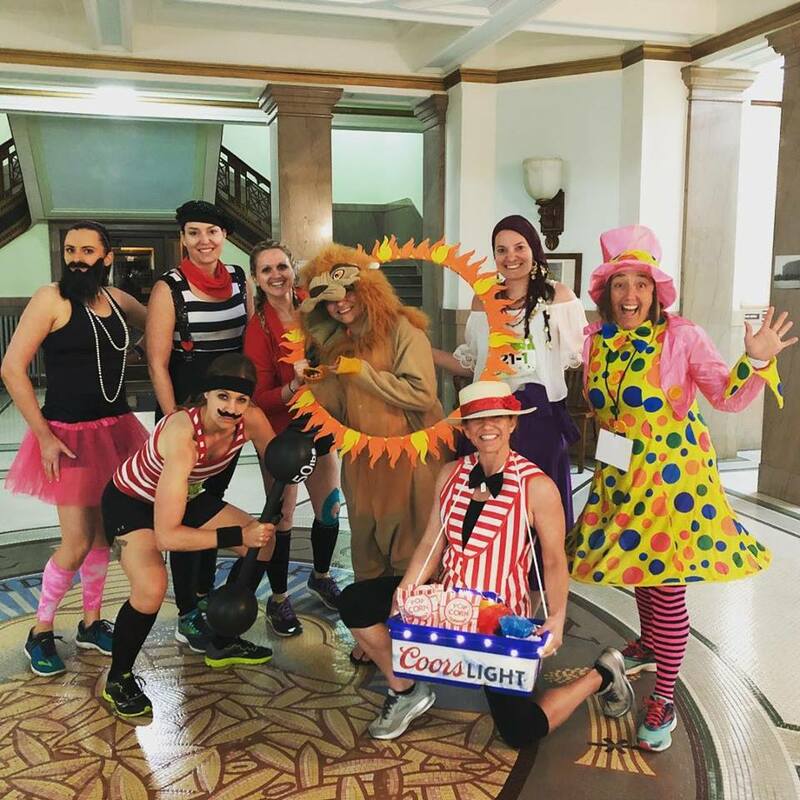 While the wise women sarcastically poke fun at their numerical prowess, it was a brain injury their team leader sustained in March that threatened to take the team down. Since the dawn of the team, Stephanie Filer has held the title of team captain. The women carried on with their busy lives, finding other events all over the country to run at, and continue to cheer one another on in races, and in life. 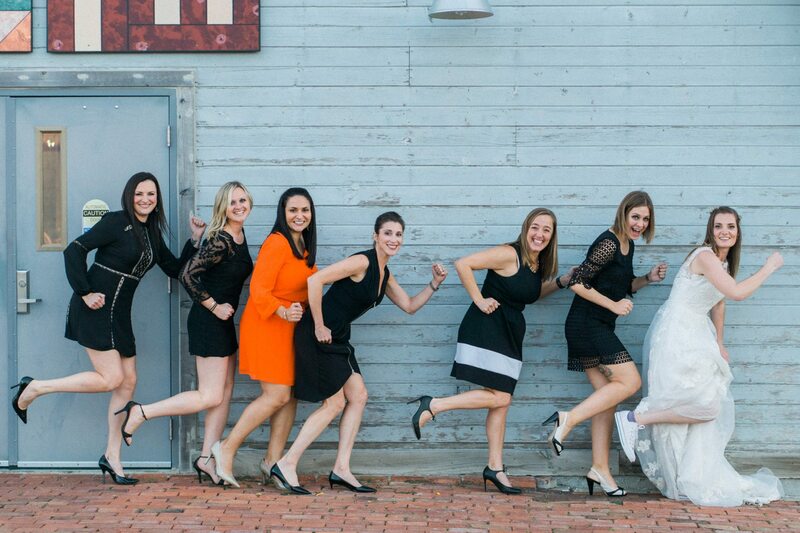 The women joined together to celebrate one member, Kaitlin’s wedding. 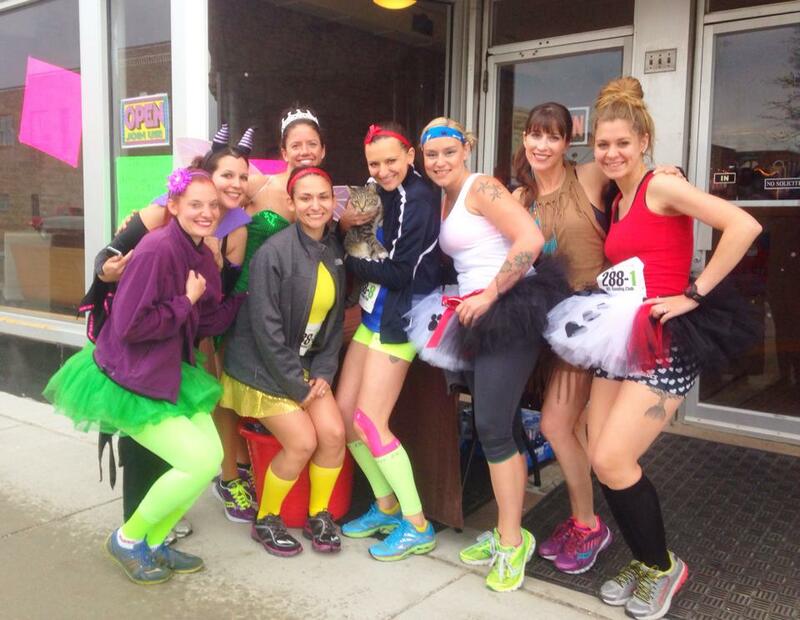 Some ran Pink Gorilla’s Leprechaun Chase in March, and they even came together for the lows. After the Leprechaun chase, Stephanie was dealt a devastating blow. An accident, a level two concussion, and the doctor’s final word that running was completely out of the question. Stephanie was heartbroken, and passed the torch to another trusted member to focus on her healing, but continued to press her doctors for permission to train. Just in case. For 6 hours a week, Stephanie undergoes intense rehabilitation. Physical therapy, ocular therapy, occupational therapy. When she thinks she’s on the road to recovery, she suddenly realizes she still can’t see straight, can’t remember what she was just talking about, or can’t seem to spit out the words that are stuck on her lips. As Market to Market approached, Stephanie accepted her fate as the team’s 9th runner, and a zero mile contribution. Then the obstacles kept coming. Suddenly this 75-mile journey that was going to be evenly split was being parceled off in bigger and bigger pieces to fewer and fewer women. Stephanie was proud of her team but still wanted to be a bigger part of it. She listened to the gentle loving lectures when her team felt she was pushing herself too hard, but she continued to push herself “just hard enough”. By race day, her doctors had cleared her for 100 feet per leg, as long as she maintained careful monitoring and used the sensory deprivation techniques she had learned. 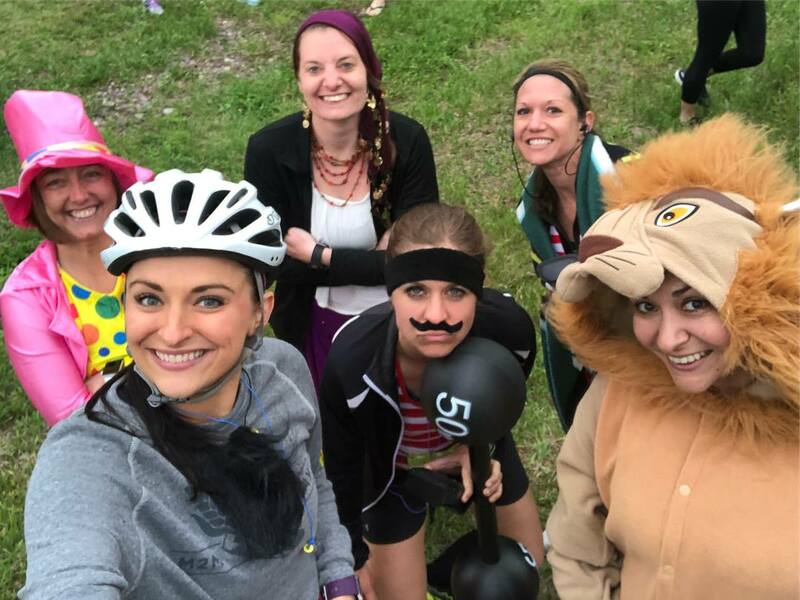 Through some heavy communication between Stephanie, her brain, her body, and her team, she was able to run 100 feet at each exchange point, donning a cheeky helmet as a nod to her brain injury. They were behind each other. Every member of the team had overcome something to be there that day, and they put it all behind them as they crossed the finish line together. It was a victory for the whole team, who is frankly, 2Pretty4Defeat.